Who are Among the Highly Recommended Locksmiths in Australia? With all the talks on scamming and security risks, are there still locksmiths in Australia that we consumers can trust our homes with? In respect to the industry, commercial locksmiths Sydney is giving consumers the assurance that the industry still has highly recommended locksmiths all over the country and that they are bound to provide clients the best services they’re entitled to. But, what are the assurances that consumers are fully protected? For one, legitimate locksmiths in Australia are mostly members of Locksmiths Guild of Australia. And that, members are obligated to practice a strict Code of Practice that provides all members including commercial locksmiths Sydney guidance in the pursuit of the craft of locksmiths. All members are highly recommended locksmiths in Australia because all are practicing their craft with dignity and at all times avoiding any improper, unethical or questionable situations or methods of works in their areas. In addition, all members of the Guild are obligated to serve their clients and the community they serve in a manner that’s in accordance with the highest moral principles and all their employees should hold current licenses and are observing the laws governing locksmith’s trade. All members of the Guild including commercial locksmiths Sydney are familiar with Building Codes of Australia and of local areas that they’re serving concerning with locks and other door hardware to provide efficient services related to fire protection and escape doors provisions. In cases of gaining entry, members of the Guild are mandated to practice strict identification request procedure in case of lockout of premises or vehicles. The practice is to ask photographic ID card such as driver’s license before any locksmith member such as emergency locksmiths Sydney could perform lockout services or before opening the premises or vehicles. 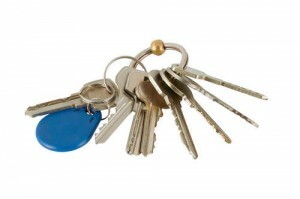 In cases of key duplications, members are highly recommended because they comply with rules for duplications as mandated and published by Security Industry Council of New South Wales and records of all key cuts, the persons relieving the keys and the date of issue are written in receipts. Since locksmiths are obligated to keep security within the craft to protect their clients and the community, interchange of general information and experience is to advance the interest of locksmithing and all confidential information are strictly on “need to know” basis. This means locksmith inner west could only give client’s information to another locksmith only with client’s request. Any details of security equipment, procedures and practices of their clients are handled by strict security practice. Locksmith eastern suburbs could only gain information upon request by the client for interchange of security information. If your locksmith is a member of the Guild, then he’s among the highly recommended.